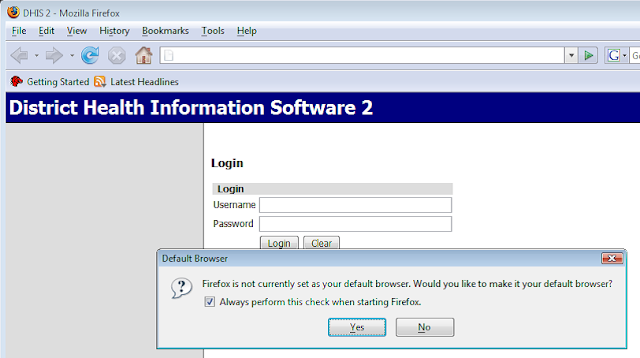 Installing District Health Information System 2 (DHIS2) on any Windows computer is a simple process that will not take more than 10-15 minutes. All you need is a CD with the installer on it or download it from here. This package is extremely easy to install and convenient as it contains everything you need in order to run DHIS 2, including GIS, reporting and charting. 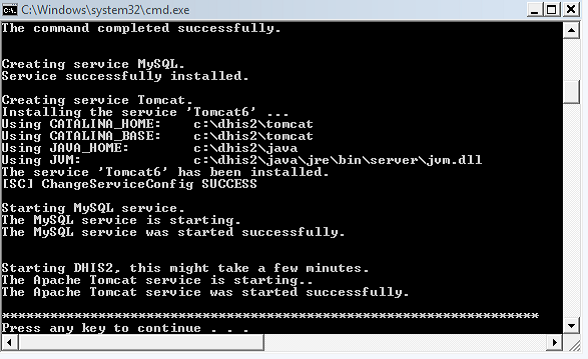 It is based on an embedded Jetty servlet container and an embedded H2 database. Simply unpack the archive, run the executable file and you are good to go. For production use we recommend that you use PostgreSQL as DBMS. Login on the empty database is admin / district. The Android applications are mobile extensions of DHIS 2 and allows for capture and analysis of your date. The apps are generally linked directly to your DHIS 2 server, removing the need for manual steps for synchronizing data between the clients and the server. Data can be saved while being offline and uploaded to the server when connectivity is present. 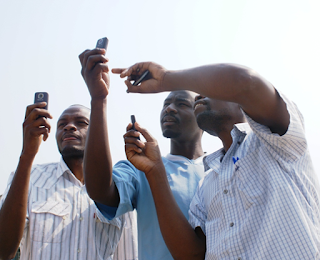 The DHIS 2 mobile clients runs on Java enabled mobile phones. The solution relies on an available data connection also known as GPRS, Edge or 3G, over which it communicates with a DHIS 2 server instance being publicly available on the internet. There are two separate client applications available: the facility reporter and the program tracker. 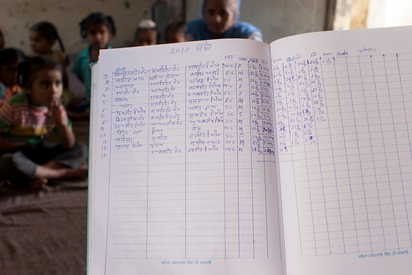 The facility reporting client is for regular data reporting from a facility, while the program tracker is designed for following up and reporting on individual program service deliveries to beneficiaries, as part of the name-based component of DHIS2. DHIS 2 lets you manage aggregate data with a flexible data model which has been field-tested for more than 15 years. Everything can be configured through the user interface: You can set up data elements data entry forms, validation rules, indicators and reports in order to create a fully-fledged system for data management. DHIS 2 has advanced features for data visualization, like GIS, charts, pivot tables and dashboards which lets you explore and bring meaning to your data. You can expand the reach of DHIS 2 through a wide range of mobile solutions. DHIS 2 lets you register cases, events and personal information, track individuals, conduct surveys and capture aggregate data, all through a mobile phone. DHIS 2 provides a range of mobile solutions based on SMS, plain HTML and Java for feature phones, and a high-end Web-based solution with offline support for smartphones. 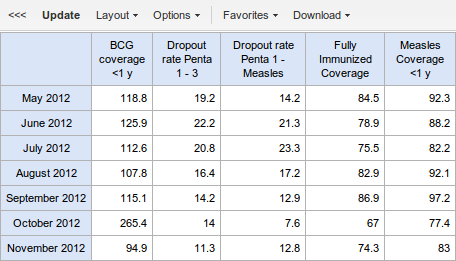 DHIS 2 lets you explore and understand your data through great visualization features. Get the complete overview through the pivot table feature, spot trends in your data with charting and visualize your geographical data aspects using the GIS functionality. DHIS 2 analytics is so easy to use that anyone can take advantage of it. The system is based on simple and intuitive principles and enables you to create analysis from live data in seconds. DHIS 2 is completely web-based, making it simple to share your analysis with colleagues. DHIS 2 gives you great dashboards which easily lets you place all of your data in a single view. 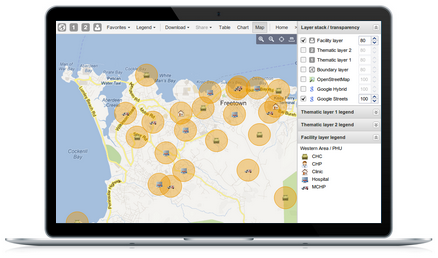 Search and drag charts, maps and pivot tables into your dashboard. Create any number of dashboards and easily switch between them. Include your personal messages and alerts directly. Click on any dashboard item to drill down and explore it further. 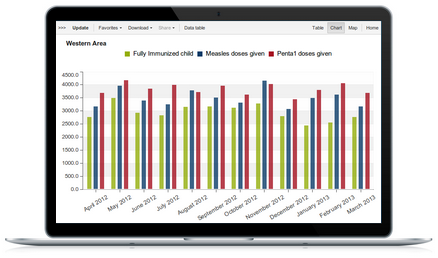 DHIS 2 enables people to communicate and share interpretations of data. It lets you define your personal profile, write and share interpretations and comments on charts, maps and reports and create groups of people. DHIS 2 allows you to communicate with other users through the integrated messaging feature, letting you receive feedback, quickly fix issues and communicate news and updates. You can even let people self-register their own account. 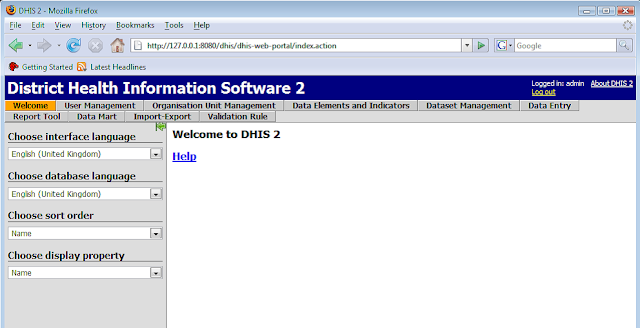 DHIS 2 is open source software and can be installed at your servers and used for free. The installation process is documented here. 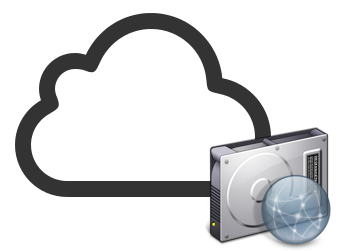 You can also go for a professionally managed DHIS 2 instance in the cloud. A managed DHIS 2 instance takes care of the backup, security, monitoring and high-speed connectivity aspects of the deployment and allows you to focus on the information system itself. DHIS 2 is free and open source software released under the liberal BSD license. It is developed in Java and runs on any platform with a JRE 8 installed. DHIS 2 is web-based and follows HTML 5 standards. You can download the WAR file and drop it into a Web container like Tomcat. Or download the Live package and simply click the executable file. The DHIS 2 user interface comes fully translated into 8 languages. In addition DHIS 2 lets you translate your database content into as many languages as you like. Each user can easily switch between languages on the fly. If you need to translate the user interface into a new language that's easy, too. With DHIS 2 you can have thousands of concurrent users and hundreds of millions of data records using only a single, standard web-server. It lets you analyse and explore your data and get answers within tenths of a second. DHIS 2 is being used as national health information systems in a large number of countries and has thousands of days in production leading up to a high-performing and mature system. DHIS 2 comes with great capabilities for system interoperability and features its own format for meta-data and data exchange called DXF 2 as well as the ADX standard. Most parts of the system can be accessed through the extensive REST-based Web API, making interoperability with third-party clients like Android apps, Web portals and other information systems easy. You can even set up scheduled integration jobs in order to periodically synchronize with or import data from other sources. If you do not get the popup window, press and hold the windows key (the key marked with the windows logo on your keyboard) and press "E". 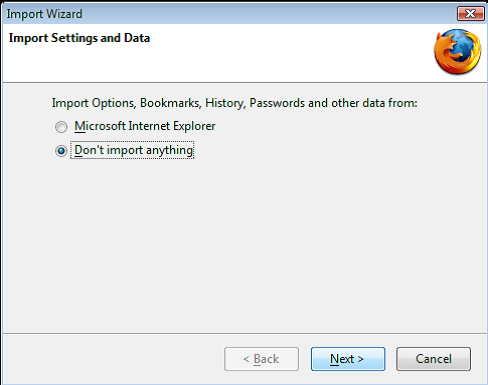 This will open up a windows explorer window with four different options. Select the CD option / icon labeled "dhis2" and double click. Opening the CD will display three different files, double-click on the one named "installer" (or maybe it will show as "installer.bat"). You should now see the same image as shown in step 2a, press any key (spacebar works fine). Now wait until the dos-window says "installation completed successfully". There will be quite a few messages running down your screen, especially in the beginning, ignore these. Once the dos-window looks like the picture below, the installer is done. Press any key to get rid of the window. 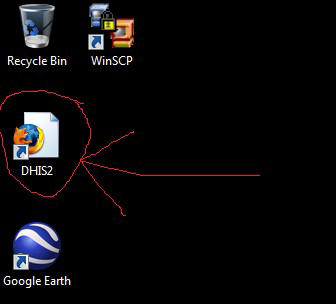 You should now have a new icon called "DHIS2" on your desktop as shown in the following picture. Double-click on the icon. Click Never for This Site. DHIS2 is ready for use! The next time you start DHIS2 you will not have to do the above steps, but it will instead be like described in step above. 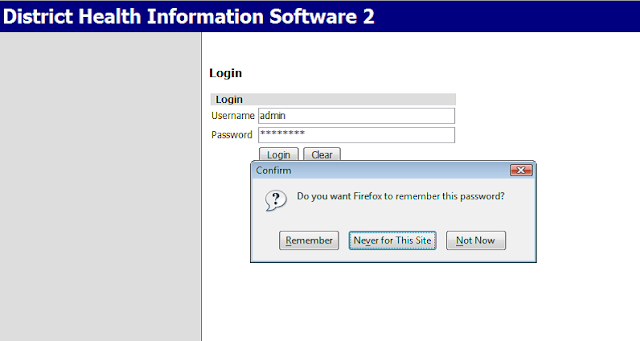 Here is how it will look when you now start the DHIS2-icon: Login with the username “admin” and password “district”.